When she was younger, Themy Adachi occasionally played tennis. Now, as an adult, she has been honored for her work to support the sport in a way that benefits the greater community. Adachi, who has worked as the Athletic Director at Mills College for 28 years, recently won the Trailblazer Award from the United States Tennis Association (USTA). She was nominated for her efforts in co-founding the Mills Community Tennis Program (MCTP). 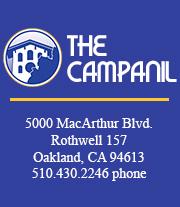 The program began in 2000 and was designed as an after school opportunity for under-served youth in East Oakland. The program “encompasses tennis instructors and academic tutoring,” according to Adachi. Participants of the program interact with the College’s Division III tennis team and other local youth. Adachi said she wanted to show the students who come to campus that it is possible to be scholarly and athletic. In teaching the local youth this vital skill, Adachi includes the Mills community as positive role models. “Just being there makes a difference with these kids. It’s really gratifying,” she said. Adachi’s good friend Vince Owens nominated her for the award. The Trailblazer Award, as Owens describes it, is presented to a person who defies the odds, who has “trail-blazed” a path in their community in a way never before attempted. The award is presented to a person who has combined community, corporate involvement and volunteerism. For Adachi, this meant creating and completing a groundbreaking connection between the Oakland Unified School District and the large corporation of the United Parcel Service (UPS). The MCTP works with the district to find students to participate. According to Owens, who has been working for UPS for 26 years, the company designates charity funds to use toward supporting local community groups. Thus, Adachi was able to convince UPS to work with the MCTP. Adach was presented with the award at a ceremony Sat Jan. 30. Owens accepted the corporate award for Volunteer of the Year on behalf of UPS. No stranger to the College, he has been involved with the Mills community since 1972, when he did landscaping for the campus. He became part of the MCTP in 2002. Owens placed his daughter in the MCTP. After she exceeded the maximum age for participation, she moved to the Upward Bound Program also offered on the Mills campus. Now she has headed toward high school tennis and aspires to compete at championships. Owen’s daughter is not the only participant from the tennis program to move onto higher levels of tennis. As for the local schools who participate, Adachi said teachers have noticed their children who attend the program have done better in class, as they are able to stay caught up on homework and better understand class activities. Test scores have shown improvement, and participants have grown in self confidence. Participants of the program typically come from challenging home situations and environments. Head Tennis Coach Jesse Medvene-Collins is now leading the program, which runs each fall semester. He and Adachi are now working to get the Boys and Girls Club involved.